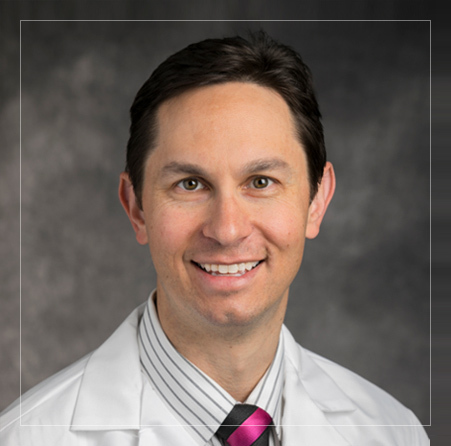 Jonathan Macknin, MD is a fellowship-trained orthopedic surgeon specializing in hand and upper extremity surgery. Dr. Macknin received his orthopedic hand fellowship training at the University of Connecticut. He completed his residency, internship, and research fellowship training at the Case Western Reserve University in Cleveland, Ohio. He earned his medical degree from the University of Pennsylvania School of Medicine and completed his undergraduate degree at the University of Pennsylvania where he was recognized on the Dean’s List and as a University Scholar while competing on the Men’s Varsity Lightweight Rowing Team. Dr. Macknin is active in academics and has contributed several articles and book chapters. He served as the Editorial Reviewer and Associate Editor for the Case Orthopedic Journal for the Department of Orthopedics at Case Western Reserve University. Dr. Macknin is a member of American Academy of Orthopedic Surgeons (AAOS), the American Society for Surgery of the Hand (ASSH) and the American Association for Hand Surgery (AAHS). Macknin JB. The History of Orthopedics. Mazloom S, Parvizi J, eds. “Orthopedic Residency Guide”. Jaypee Brothers Medical Publishers, New Delhi, Chapter 1, 2014. Macknin JB. Hoyen HA. Forearm Fractures. Stannard JP, Schmidt AH, eds. “Surgical Treatment of Orthopaedic Trauma, Second Edition”. Thieme Medical Publishers, New York, Chapter 18, 2016. Macknin J. Marks M. Macknin ML. “Effect of telephone follow-up on frequency of health maintenance visits among children attending free immunization clinics: a randomized, controlled trial.” Clinical Pediatrics. 39(11):679-81, November 2000. Macknin JB. Higuchi M. Lee VM. Trojanowski JQ. Doty RL. “Olfactory dysfunction occurs in transgenic mice overexpressing human tau protein.” Brain Research. 1000(1-2):174-8, March 12, 2004. Sutton GP. Macknin JB. Gartman SS. Sunny GP. Beer RD. Crago PE. Neustadter DM. Chiel HJ. “Passive hinge forces in the feeding apparatus of Aplysia aid retraction during biting but not during swallowing.” Journal of Comparative Physiology A-Sensory Neural & Behavioral Physiology. 190(6):501-14, June 2004. Macknin J. Cover M. Bogie K. “Development of a Porcine Model for Acute Infected Wounds.” Case Orthopaedics Journal. Spring 2011. Macknin JB. Malone KJ. "Zone 2 Flexor Digitorum Profundus and Superficialis Rupture Treated With Single-stage Tendon Reconstruction Using an Active Hunter Rod Implant." Orthopedics 35(5): e758-761, May 2012. Lawrence JT. Patel NM. Macknin J. Flynn JM. Cameron D. Wolfgruber HC. Ganley TJ. “Return to Competitive Sports after Medial Epicondyle Fractures in Adolescent Athletes: Results of Operative and Nonoperative Treatment.” American Journal of Sports Medicine. 41(5):1152-7, May 2013. Macknin JB. Brown A. Marcus RE. “Does Research Participation Make a Difference in Residency Training?” Clinical Orthopaedics and Related Research. [Epub ahead of print], August 2013. Lawrence JT, Macknin JB, Flynn JM, et al. Return to competitive sports following medial epicondyle fracture in adolescent athletes: A comparison of operative vs. nonoperative treatment. Presented at the American Orthopaedic Sports Medicine Society 2008 Annual Meeting. July 10-13, 2008. Orlando, FL. Lawrence JT, Macknin JB, Flynn JM, et al. Return to competitive sports following medial epicondyle fracture in adolescent athletes: A comparison of operative vs. nonoperative treatment. Presented at the Eastern Orthopaedic Association 2008 Annual Meeting. October 22-25, 2008. Henderson, NV. Macknin JB, Bogie K. Development of a Large Animal Model for Infected Acute Wounds. Case Western Reserve University Musculoskeletal Research Day, March 24, 2010. Cleveland, OH. Macknin JB, Bogie K. Development of a Large Animal Model for Infected Acute Wounds. Presented at ShowCASE 2010, Case Western Reserve University, April 15, 2010. Cleveland, OH.